India and Nepal share a special relationship of friendship and cooperation characterized bye open borders and deep rooted people to people contacts of kinship and culture. There has been a long tradition of free movement of people across the borders. Landlocked country with its capital at Kathmandu. It has a population of 29 million. It shares a border of over 1850 km to the south with 5 Indian states - sikkim, west Bengal, bihar, uttar Pradesh and Uttarakhand and in the north with the Tibet, autonomous region of the People's Republic of China. 1. 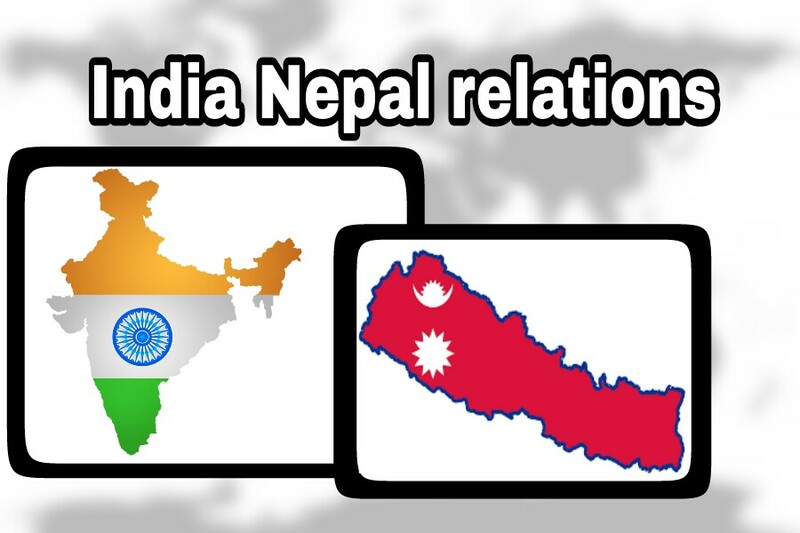 India Nepal Treaty of peace and friendship of 1950 is the Bedrock of the special relations that exist between India and nepal. Under the provision of the Treaty Nepalese citizen have enjoyed unparalleled advantages in India availing the facilities and opportunities at par with Indian citizens. Nepal Nepal to overcome the disadvantages of being a landlocked country. 2. Corporation on issues of mutual security concerns relating to the open border has been a Hallmark of India's relations with Nepal. 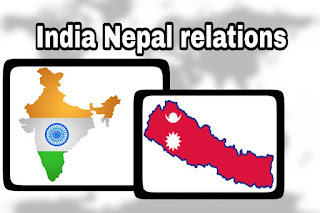 Nepal has a shot at various levels that it would not allow its territory to be used for any activity against India. 3. India has also provided liberal assistance to the security Apparatus in Nepal in development of infrastructure, capacity building, equipment, training of human resources, rural and community development and education. 4. Government of India has welcomed the efforts by the Nepalese political parties in working towards political stabilization in Nepal through peaceful recancillation and inclusive democratic processes. It switched over from monarchy to democracy in 2008 after 239 years. Sushil Koirala is the 7th P.M elected in 2013. 5. Both countries have common approach and work in tandem in the United Nations, non alignment movement and other international. Furthermore with the establishment of SAARC and BIMSTEC in South Asia, moore Avenue for enhancing regional operations have been identified so as to leave forward towards regional economic integration. 6. Water resources is considered as the backbone of Nepalese economy. The issue of water resources has always been getting in due prominence in the agenda of bilateral cooperation between Nepal and India. Since long time back so as to generate power and provide irrigation facilities by constructing Mega projects. Nepal is the second country in the world after Brazil with highest potential for hydro electricity generation, if this potential is properly tapped, the Power Crisis in the entire SAARC reason can be sorted out to a great extent.In a bid to boost India's ties with its neighbours after Narendra Modi the prime minister of India, masterstroke of inviting tops SAARC leaders on his oath taking ceremony including Nepal Prime Minister Sushil Koirala. Prime Minister Narendra Modi sent external affairs minister Sushma Swaraj to Nepal with a landmark proposal to tap the Himalayan Nations hydropower potential. Sushma Swaraj visit with the proposal of developing Nepal hydropower potential was the wake of China increasing its influence in Nepal by helping its army and police and building roads and power projects. During decade long rule of UPA India's ties with SAARC Nations took a beating which was evident from no significant development in ties with Nepal, bitterness in India's relation with Maldives, bangladesh and Pakistan. Chinese bids to increase its influence on Bhutan could not succeed and Bhutan remained a good neighbour of India. But China has made deep inroads into nepal, it is working on building a rail network in reason of Nepal and is hopeful of starting rail services between the two areas by 2020. As of India's efforts to assist with capacity building and development of human resources in Nepal around 2200 scholarships are offered annually for Nepali students to pursue various courses in India and Nepal. During his today visit to Nepal Prime Minister Narendra Modi offered 1 billion dollar loan to Nepal for infrastructure development and signed a deal clearing ways for a hydropower project. While addressing Nepal parliament modi offered financial help and said that India is willing to help boost nepal highways. 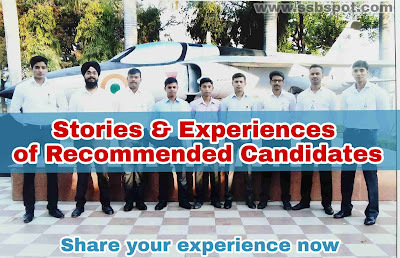 The government of India has made every effort to ensure that ex servicemen, dependents are looked after in the best possible manner. To ensure this the Government of India has established" the Indian ex servicemen welfare organisation in Nepal( IEWON). An ex servicemen contributory Health Scheme(EVHS) was lost in Nepal during 2012 through which free medical treatment to the Indian ex-servicemen of Nepal domicile and their dependents is being provided with in Nepal. The ex servicemen contributory Health Scheme beneficiaries also have the option to avail free treatment in private empanelled hospitals in India. Nepal knows that India is a time tested friend and it can help Nepal in its economic development as well as take care of it security concerns. On the other hand India is also aware that it can achieve desired economic growth and strength only if it has cordial relations with all neighbours including Nepal.